Dynamics AX and Dynamics CRM are two sides of the same coin and together they provide both the front office (sales & customer service) and back office (transactional) capabilities that you need to run a business. But there is a lot of shared information between the two that you need to keep in sync such as Customers, Invoices, Products etc. Luckily this is not a problem, because Microsoft deliver a Dynamics Connector which handles all of this for you out of the box, and it’s a breeze to set up and configure. Dynamics AX and CRM can live together in harmony and even help each other out. The first thing that we need to do is install the Dynamics Connector which we will use to synchronize all of the data between Dynamics AX and CRM. You don’t even have to pull out your wallet to do this either, because the Dynamics Connector is available for free on Customer Source. If you do a quick Bing! Search then you should be able to find the Connector for Dynamics AX on CustomerSource. If you scroll down to the bottom of the download page, then you will see a Connector For Dynamics AX.msi installation kit. All you need to do is download it and start the installer. When the installer starts, skip over the welcome screen by clicking the Next button. Then accept the obligatory license agreement and then click on the Next button. Then the Connection Information page is displayed, enter in the server name where you have MSSQL installed on and then click the Next button. Then enter in the username and password that you want to use to run the Connector Service that the Connector will create and click on the Next button. Then click on the Install button to start the installation. After a little while the connector will finish installing itself and you can click on the Finish button. You should now see a Connector For Dynamics AX application. This will run for a little while and also show a compile window. After it has completed, then you can move on to the next step. Now we can start configuring the connections within the Connector. The first connection that we will configure is the Dynamics AX Connection. To do this, open up the Connector For Dynamics AX and click on the Adapter Settings button within the menu bar. This will open up the Adapter Settings dialog box and you will see on the left hand side all of the different adapters that are available. Click on the Microsoft Dynamics AX 2012 adapter. Then type in the AOS Server Name and also all of the user information and password that you will be using during the integration. After you have done that, click on the Configure Microsoft Dynamics AX 2012 link. This will open up the AX Configuration dialog. Click on the Refresh Services button. This will show you a list of all the available services that you can use within the integration. Notice that there are a number of services related to the DynamicsConnector which were created in the previous step. All you need to do is click on the Configure button at the bottom of the form and then click out of the Configuration dialog. When you return to the Adapter Settings form, click on the Test Settings button just to make sure that everything is fine. If everything is configured correctly then you will get a successful message and you can click the OK button. All that is left to do here is to click on the Apply button and you are done. Now we need to configure the connection to the Dynamics CRM environment. This could be on-premise, or hosted – the connector doesn’t care. To do this, click on the Microsoft Dynamics CRM 2011 adapter on the left of the form. Don’t get distracted by the Microsoft Dynamics CRM adapter – this is only needed for CRM 4.0. Within the Microsoft Dynamics CRM 2011 Settings, enter in the User Name and Password for the user that will be used for the integration. Then enter in the discovery URL for your instance of CRM. Tip: If you don’t know what that URL is, just open up CRM and go to the Customization page. Then click on the Developer Resources menu item. That will take you to a form that shows you all of the Service Endpoints and you will see your Discovery Service is listed there. Now click on the Configure Microsoft Dynamics CRM link to start the configuration tool. When the Welcome page is displayed, just click on the Next button. This will take you to the Adapter Configuration form with the discovery URL already populated for you. Just type in the administrator User Name and Password and click on the Get Organizations button. This will retrieve the Organizations that you have within CRM and you can select the one that you want to synchronize with and then click the Next button. Next you will be asked what Entities you want to synchronize. The usual suspects are already check for you so all you need to do is click on the Next button. That will take you to a Configuration page so that you can start updating CRM. Click on the Configure button. The Connector will update Dynamics CRM for you, adding any additional components that are needed for the integration and also updating the security for you. After a short time you will be able to click on the Finish button to exit from the form. When you return to the CRM Adapter Settings you can click on the Test button to make sure that everything is fine. And then click on the Apply button to make sure that your changes are saved. Now that we have our adapters we can create our integration between Dynamics AX and CRM. To do this, return to the Connector For Dynamics AX and click on the New Integration button in the menu bar. This will open up the New Integration dialog box. Although you can configure the integration by hand, it’s easier to select a template from the dropdown box. This will set the first adapter to Dynamics AX, and the second to CRM. Select the Company that you want to synchronize with from the first applications dropdown list. Then select your CRM organization from the Company within the second application. After you have done that, just click on the Create button. All the heavy lifting will be done by the system and when you return to the Connector page you will see that it has all of the default Maps already created for you. Now we can start using the connector. But before we start synchronizing the main tables, we need to get AX and CRM in sync by synchronizing the Picklists which contain all of the codes like Customer Group etc. If we don’t do this then the main synchronization will fail because of codes not being available. To do this, list click on the Enumerated Values To Picklist map and then click on the Activate button. Note: Once you activate a map, you can deactivate it at any time just by clicking on the Deactivate button. Now click on the Save button in the menu bar. After a couple of seconds the integration will kick off and you will see the connector discover the changes within AX that need to be updated in CRM. It will run for a second and then return to idle mode after pushing the data to CRM. Now we can start synchronizing all of the important data. As an example we can synchronize all of the customer data from Dynamics AX over to CRM. To do this, Select the Customer Service To Account map and then click on the Activate button. This will now run every 45 seconds to check for new Customer records. All we need to do to see this in action is to create a new Customer record in AX. When we return to the Connector we can watch the map for updates. After a few seconds the map will be processed and the Connector will show that the record was found and updated. And all of the pertinent AX data has been moved over as well. The Dynamics Connector is a great tool and also is already configured to allow you to share data between AX and CRM without having to buy additional integration services or software and is a breeze to set up. What are you waiting for? Set yours up already! Hello Murray, thanks for your post. 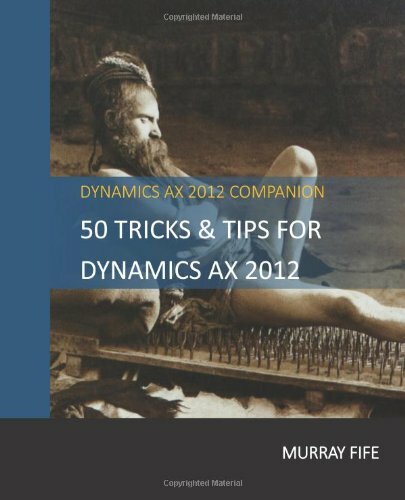 I have a question about linking Dynamics AX with Dynamics CRM. Do you know if it is possible to link a Standard-Dynamics-AX-Contoso-Image from Partnersource with a Dynamics-CRM-Contoso-Image by using the standard CRM Connector? Thanks for your help. Benjamin, You bet – that is what I was actually doing with this example – I’m guessing that you want to set up a demo system like I was 🙂 Murray. Wow, thank you for your very fast reply Murray. Yes i want to set up a demo system. Where can i download a Dynamics CRM Contoso Image? Is the 90 day-trial version on Partnersource the right one? Hi Murray, can you provide a download-link for a contoso-crm-image? Did you use the 90 day trial from partnersource? Thanks for your help. Murray, This was a fantastic guide. Thank you. Nice guide. I am Kevin from China, we are estimating this tools to intergate CRM 2015 and AX 2012 R3. We asked lots of consultants event Microsfot china, seems no customers using this tools in china. Consultant said it is not stable and performance is bad, troubleshooting is not easy ….. . This make us confused. From the point of my view, this should be a good tools provided by Microsoft, however our consultant provide other solutions such as web service, BC Connectoer… I want to convience my Boss to use this tools. Would you please share some information ahout this tools which company already used? and how is the situation? The advantage and disadvantage? such as performance,troubleshooting,scalability..
Harpal, you have probably worked it out by now, but put your server name in the servername placeholder. Murray. When I first started looking into this, I read that you have to import the DynamicsConnectorR2.xpo file into AX. I ran it in R3, but got compile errors. I then read that if you have R3 CU6, you don’t need to run this file. After reading this article, you are saying to run this Project Management to CRM Integration job from the menu. I am a little confused by all of these approaches. Is this approach in your article the standard approach recommended or is there actually some scripts out there for R3 somewhere?